The month of May has always been special for my blog as it marks the anniversary month. In the coming month the blog will turn 5yrs old and so I thought that it’s a good opportunity to invite my blogger friends and readers to try my recipes and hence this event. For the cook book win, you are welcome to try recipes from my blog (check out the recipe index at the top else search the website using labels) and link it to this event announcement. For your convenience two inlinkz tools are available, one for Bloggers/ readers who can provide a valid address in India and the others is for those who can not provide an address in India but love to cook as well as participating. At the completion of the event, the winners will be picked up by random method. I will use the entries from the the first link up to declare the cookbook winner and Puro winner will be picked from the rafflecopter below by Puro. 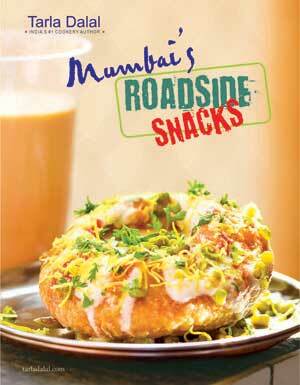 The cook book winner will receive a giveaway book Mumbai Roadside Snack’s written by Late Smt. Tarla Dalal. The book has an interesting collection of street food of Mumbai and it’s a good book to be a part of your collection. 1 x Puro Bio-Organic 250g: Medium roast combining soft notes of sweet chocolate with tangy citrus. 1 x Puro Noble 250g: Rich and lively medium roast, with hints of fruit and hazelnut. Try any number of recipes from my blog and link using the inlinkz tool provided below. If you have tried my recipes earlier and posted them in your blog, you can link the archived entries too. Write a post or mention with a picture in your current posts which recipe you have tried and link your post to my recipe and to the event announcement. The use of logo is mandatory as it helps spread the word. Do not hesitate to click on the face book fan page here. To enter the Puro giveaway use the rafflecopter, provided below. In case you have a difficulty linking your posts, mail them to cookingoodfood@gmail.com, and I will link them for you. All my readers are also welcome to participate. They can send me a mail with a picture of the recipe they have tried and I will post the pictures in my fan page and then enter the rafflecopter. Many congratulations ...Will try to participate in your event ...Have a small doubt ,Do we need to write a post from the recipe tried from your blog? Yes, you have to try and write a blog post. Congratulations! on your blogs anniversary and many more! Happy blog anniversary Pari, wish u many more happy years in this virtual world. Can people not staying in india can still participate? Hi. Yes why not! The event is about participation. You can participate in the event and link using the second tool. Also join the rafflecopter for claiming the international win. Your dedication, your enthusiasm and your insight are really inspiring for amateur bloggers like me. I wish you many years of great achievements! Many many congratulations!!!! Would love to be part of this give-away. Are archived entries permitted. I have made the bread katori chat that you shared innumerable times ant it is always a hit with guests..but i poated it long back..can i send that too? I'm glad that you liked the bread katori chaat. Yes u can link archived entries too. Thanks for the kind words Amarendra. Made and enjoyed some of your dishes... specially zunka. This was on my "To Make" list since a long time. I had saved a paper cutting from a magazine too. At last I made it for your event. Thanks so much Shobha for trying my dishes. I'm so humbled by your generous effort.